. ::Welcome to All-Span Scaffolding! Commercial Scaffold, Residential Scaffold, Scaffolding for hire & Sales::. All-Span Scaffolding is your local scaffold hire company. We offer a complete scaffold hire service using Kwikstage steel modular scaffold and or light weight aluminum frames erected and dismantled by fully trained staff. 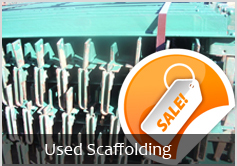 For expert advice and reliable service All-Span Scaffold has over 5 years scaffolding experience. Whether it’s domestic, commercial, or a short or long term project we get the job done. 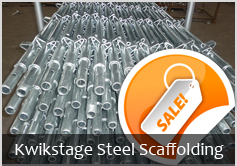 All-Span prides itself on maintaining an extensive stock of new Kwikstage scaffold in painted or HDG finish. We also supply Aluminum Planks and Mobile Scaffold Frames. Whether you require a few items or a truck full, give us a call for a competitive price. Buying from us is your guarantee of customer satisfaction. We hope you will find this website interesting and above all, informative. We help you get to the places you can’t reach safely, cost effectively and with style! Since our incorporation in 2006 through to the present day, we have tackled virtually every challenge possible when it comes to the building of scaffolds in our service area. The examples we have chosen to show you represent only a small section of our completed photo gallery. It is our belief at All-Span Scaffolding that our reputation for being one of the best scaffold companies in our sector, has built up over the last 5 years due to our professional approach. The experience, know how and skill of our key staff and most importantly our enviable health and safety record are all key components of our continued success. Please take the time to browse through the site and in particular, pay a visit to the Picture Gallery section. This includes a fantastic selection of shots taken over the past 5 years to see the type of work we have undertaken during that time. © 2011. All-Span Scaffolding. All Rights Reserved.